Chronic cocaine abuse can lead to addiction, a progressive condition in which the person uses regardless of negative consequences. Other long-term effects may include seizure, heart attack, and stroke. People may abuse cocaine from time to time, believing that they can keep their use to an occasional binge. However, most people are mistaken in this belief. Over time, cocaine use can progress to cocaine addiction due to the reinforcing effects of the drug on the neurochemical processes of the brain. When people engage in chronic cocaine use, there is a risk that they will experience lasting consequences of that use. Cocaine addiction is only one of several long-term effects of cocaine abuse; there are numerous potential risks to a person’s social, physical, and mental health. If you or someone you love has a problem with cocaine abuse, there are steps you can take to prevent or mitigate long-term problems. 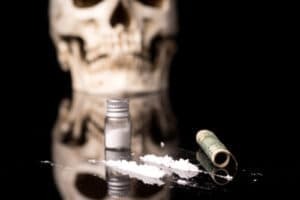 When people regularly use cocaine, they build tolerance to the desirable effects, which means that they need a higher dose of the substance to continue experiencing pleasure. Consequently, people who use cocaine typically use it in a binge pattern, which means that they use it over and over at higher and higher doses to maintain the high and avoid a “crash” or withdrawal symptoms.2 This cycle of cocaine abuse can quickly lead to the development of addiction, in which a person continues to use the drug regardless negative impacts on various areas of their life. Taking more cocaine that you originally meant to use. Using cocaine despite knowing the social or legal problems it can cause. Using cocaine despite knowing that it makes medical or psychological conditions worse. Making unsuccessful attempts to either stop or cut back on cocaine use. Failing to fulfill your responsibilities at work, home, or school due to your cocaine use. Losing interest in hobbies or previously enjoyed activities. Using cocaine while driving or operating machinery, despite knowing the dangers of this. Spending a great deal of time obtaining and using cocaine, as well as recovering from its effects. Cocaine addiction is a very detrimental consequence of chronic cocaine use. Once someone is addicted, it becomes difficult for them to quit using on their own. The maladaptive, compulsive patterns of drug use that develop over time often require professional treatment to rectify. In addition to addiction development, there are numerous physical and mental health problems that may result from long-term cocaine abuse. Cocaine is not a drug that can be used casually or safely. Every time you use it, you run the risk of experiencing hazardous effects. Continuing to use cocaine in the long run compounds this risk, particularly as you use greater and greater amounts of the drug. Increased risk of irritability, restlessness, violent behaviors, paranoia, panic attacks, and psychosis. Increased risk of stroke, heart attacks, heart palpitations, arrhythmias, and seizures. Sensitization, which means that some of the adverse effects of cocaine (such as seizures/ convulsions) can occur at lower doses. Parkinson’s disease, a progressive movement disorder. Intracranial hemorrhages, or bleeding in the brain. Diminished cognitive abilities, such as impaired impulse control, attention, memory, decision-making, and motor functioning. Contraction of HIV, hepatitis, and other infectious diseases. Track marks, vascular inflammation, and abscess formation near injection sites. A more rapidly developing physical dependence. Loss of the ability to smell. Irritation of the lining of the nose. Placental abruption (detachment of the placenta from the womb). Disrupted blood flow to the placenta. The sooner you get help for your cocaine addiction or problematic cocaine abuse, the better your outcome is likely to be. You can prevent long-term damage or receive treatment for any medical or psychological complications you’ve experienced as a result of cocaine use. The first thing you can do if you want to quit using cocaine is to make an appointment with a physician, mental health professional, or addiction specialist. The professional can perform an evaluation of your mental and physical health, along with overall substance abuse history. They can then provide you with recovery resources and referrals to the best form of care for your situation. In some cases, quitting may require detox; this can occur in a free-standing detox program or as part of an addiction treatment program. Detox is a short-term intervention that usually lasts several days. Detox staff provide you with medical supervision while your body withdraws from cocaine. However, detox is not a substitution for addiction treatment; it is a process that helps you eliminate cocaine from your body safely and is often the first step on the road to recovery from cocaine addiction. After detox, addiction treatment services can help you to learn the skills needed to cope with cravings and avoid returning to cocaine use. Rehab can last anywhere from 30 to 90 days, and sometimes longer if deemed necessary. Although every rehab program is different, most offer a combination of services, such as individual therapy, group counseling, peer-to-peer support, family therapy, medical care and oversight, and aftercare planning. This comprehensive approach can help to rectify maladaptive behaviors, improve your sober social skills, instill coping strategies, improve your emotional health, and treat any previously undiagnosed psychological or physical conditions. Treatment for cocaine addiction can occur in a variety of settings. Some programs offer inpatient services, while others occur on an outpatient basis. Inpatient programs require that you live at the treatment facility for the duration of the program. Many people find this beneficial because they can focus on their recovery without outside temptations or influences. Outpatient programs provide you with the freedom to continue working, attending school, and fulfilling responsibilities at home while recovering from an addiction; however, they may not be the best option for someone with a severe cocaine addiction, a polydrug addiction, a dual diagnosis (co-occurring mental health condition and addiction), or a physical condition that requires medical care. An ideal candidate for an outpatient program has a relatively mild addiction and a strong and sober support system. 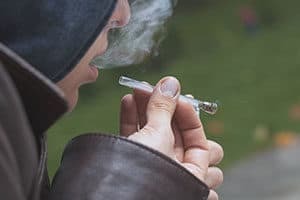 There are some programs with extensive experience in treating the unique challenges of cocaine addiction, and being in this specialized type of program may be the most comfortable setting for you. Other special populations that rehabs may serve include LGBT, women-only, men-only, veterans, and teens. Regardless of where you choose to get treatment, the important thing is to get it. It’s never too late to make a positive and healthy change in your life. National Institute on Drug Abuse. (2016). Cocaine: How Does Cocaine Produce its Effects? National Institute on Drug Abuse. (2016). Cocaine: What are the Long-Term Effects of Cocaine Use? American Psychiatric Association. (2013). Diagnostic and Statistical Manual of Mental Disorders (DSM-5®). Arlington, VA: American Psychiatric Association Publishing. Is Cocaine Different Than Crack?